What is the latest version of the mobile app and related Woodford version? With the Fall 2018 Field Service release, a new mobile app was released called Field Service Mobile. 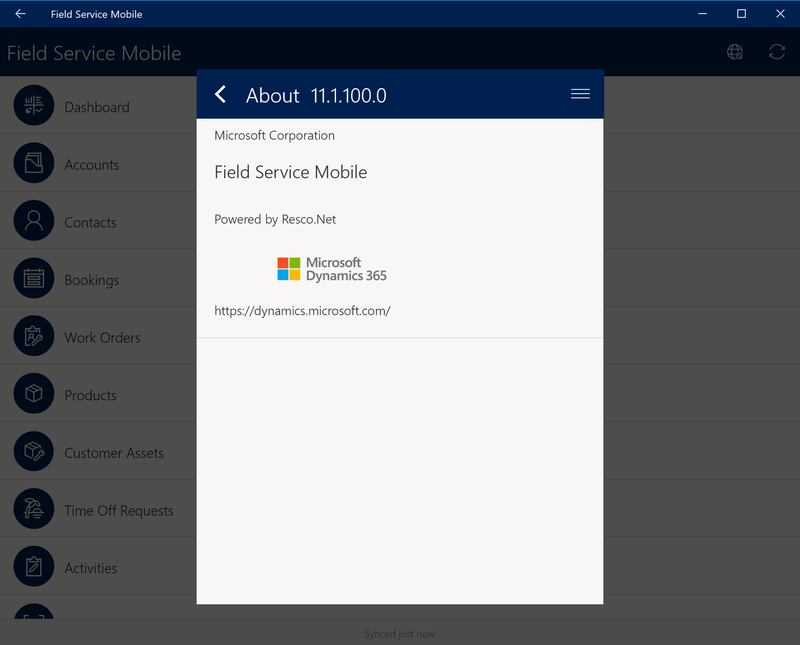 The latest version of Field Service Mobile generally available is 11.2. To see your mobile app's version number, find the About menu item, and select it. You'll find the version number here. 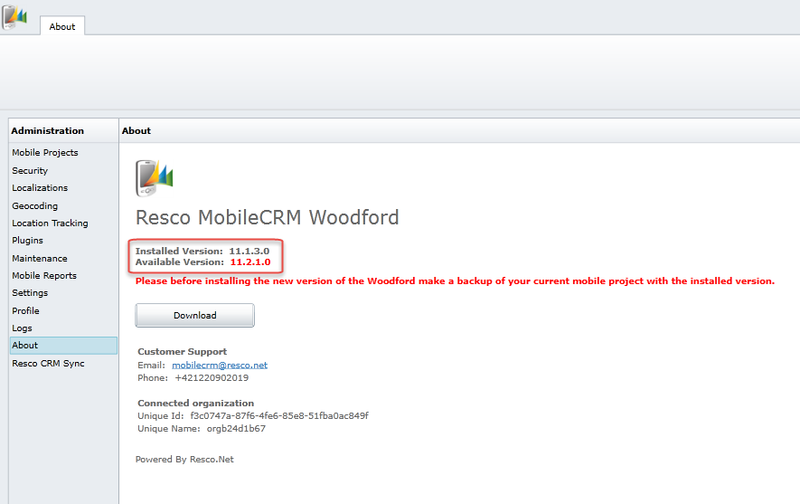 You can download the latest version of Woodford and simply publish to a previous version that is compatible. For example, a Woodford version of 11.3 should be published down to version 11.2 if the Field Service Mobile app is version 11.2. To find your installed Woodford solution version number, open a non-private Internet Explorer window and navigate to Settings > Woodford > MobileCRM Woodford. 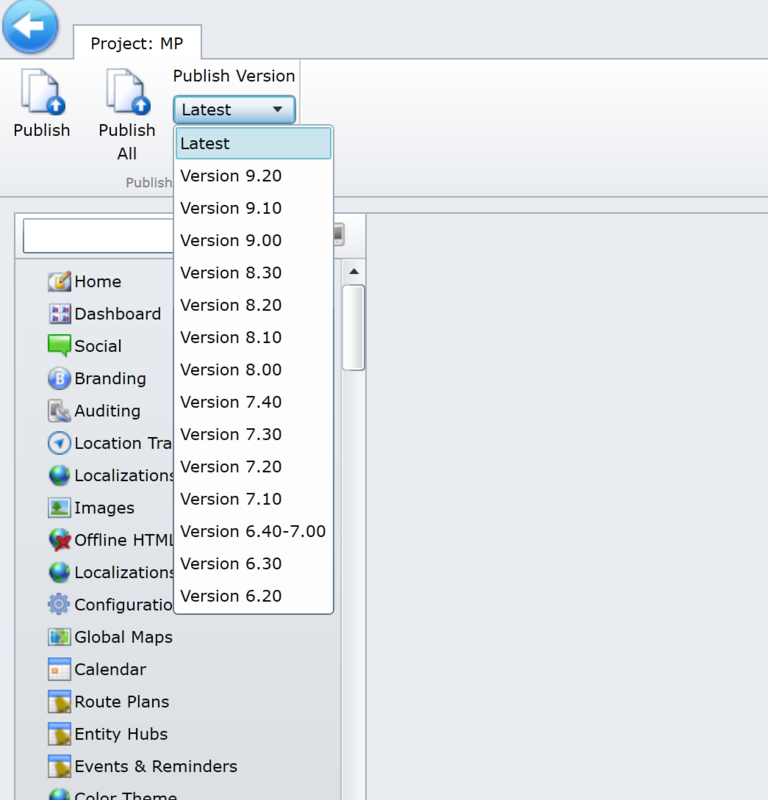 You can find the published version number by navigating to Mobile projects, as seen in the below screenshot. Note: the published Woodford version can't exceed your mobile app version.